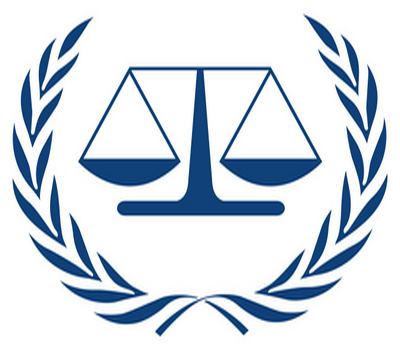 The International Criminal Court, ICC, is about to embark on an investigation of suspected crimes against humanity in Kenya that could be crucial not just for the east African countryâ€™s future but also that of the court itself. Kenyaâ€™s position as a westward-looking country, relatively free and peaceful, with a strong civil society and above all willing to cooperate with international justice, could make life relatively easy for Luis Moreno-Ocampo, the chief prosecutor of the ICC. He has said he will open at least two cases against the worst perpetrators of election-related violence just over two years ago, with up to three people charged per case. Their names have not been made public, but they are widely believed to include a number of people who wield considerable political influence in the country. That could mean the promised cooperation from the Kenyan authorities is not realised. Violence erupted in Kenya in December 2007 after Kwai Kibaki was declared winner of the presidential election amid accusations of vote-rigging. More than 1,300 people were killed in the clashes and at least 350,000 had to flee their homes. Formal ICC investigations into the violence will begin in May, when Moreno-Ocampo visits the country to meet victims and lay the groundwork for subsequent inquiries. Judges gave the ICC the go-ahead to start investigations on March 31, with two out of three judges ruling that there was sufficient evidence to suggest that crimes against humanity had taken place. Moreno-Ocampo has encountered a host of problems in investigating other countries. In Uganda, not a single person wanted by the ICC has yet been caught, and some have died while on the run. Sudan, whose president is wanted for war crimes, remains openly hostile to the court. Cooperation with the Democratic Republic of Congo has been mixed and Kinshasa has been accused of shielding war criminals from prosecution by drafting them into the armed forces. Moreno-Ocampo may hope to have a smoother ride in Kenya, but much depends on whether Nairobi keeps its promises on the issue of cooperation, irrespective of the direction that the ICC investigation takes. Nairobi has disappointed the court before. Last July, representatives of the Kenyan government signed an agreement with Moreno-Ocampo, promising to call in the ICC if it failed to persuade parliament to create a special tribunal to investigate the 2007 violence. That never happened, leaving Moreno-Ocampo with no choice but to start proceedings himself. It is the first time that the prosecutor has used his â€œproprio motuâ€ (at his own impulse) powers to launch an investigation, without a referral from either the United Nations Security Council or member states. Shortly after the violence, Philip Waki, a judge of Kenya’s Court of Appeal, chaired a commission of inquiry into the events. He concluded that, in some areas, the violence was the result of careful planning, â€œoften with the involvement of politicians and business leadersâ€. Moreno Ocampo has been working from a list produced by Waki of 20 key suspects who were involved in the violence. The list has not been publicly disclosed and Moreno-Ocampo has not confirmed whether the individuals he is investigating also appear on the Waki list. He has made it clear on more than one occasion that he wants to use the Kenyan investigation to show to the world how the ICC can be used to bring an end to the culture of impunity that pervades some of the countries where it works. Kenyan elections have been dogged by violence ever since 1992, when the first national multi-party polls were held. Such violence is a product of long-standing historical injustices, mainly over land and resource distribution, which many Kenyans feel have not been adequately addressed since the country gained independence from Britain in 1963. Moreno-Ocampo remains confident that his investigators can gather enough credible evidence to meet the requirements of an ICC trial. But such optimism may quickly give way to frustration if those government agencies on which he is relying for cooperation start to become implicated in the investigation. One problem could be the Kenyan police force, members of which were accused in the Waki report of having direct involvement in orchestrating the 2007 violence. A two-year government probe into the role of the police fell apart amid accusations of a political cover-up, lack of cooperation and destruction of valuable evidence. To date, only one policeman, implicated in a shooting that was captured by TV cameras, has been charged with any crime. A successful investigation into the 2007 killings is of crucial importance, not only for the legitimacy of the court but also Kenya’s future. In 2012, the country will once again go to the polls, and if justice is not seen to be done for what happened in 2007, then electoral violence could repeat itself â€“ perhaps with even worse consequences. The investigation presents a very real opportunity for the ICC to break the cycle of election violence that has existed in Kenya for so long. The Kenyan elite must not be allowed to obstruct this process.